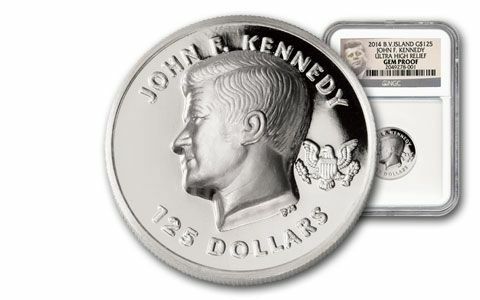 It's hard to believe, but 2014 marked the 50th anniversary of the first coins honoring President John F. Kennedy. Millions around the world still hold fond memories of the first family and the youthful exuberance that John Kennedy brought onto the American stage. 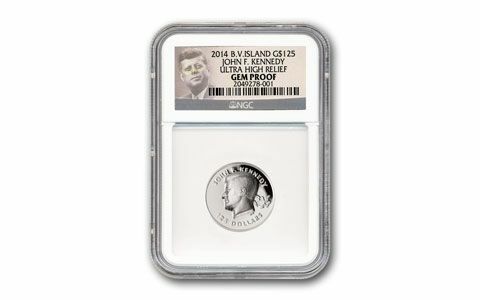 Today, to honor his memory, we are pleased to offer you these very special 2014 One-Ounce Platinum JFK Ultra High Relief Proofs. They feature an image of the president that soars high off the surface of the coin, and each is, in essence, a work of sculpture in its own right. 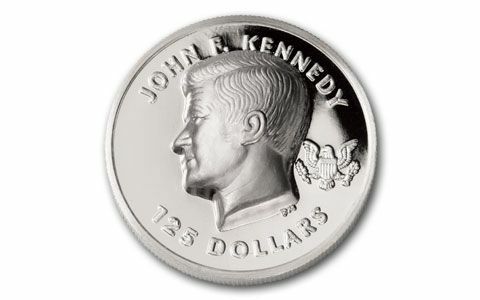 To the right of the president's bust is the heraldic eagle design from the very first Kennedy coin, the 1964 U.S. Kennedy Half Dollar. 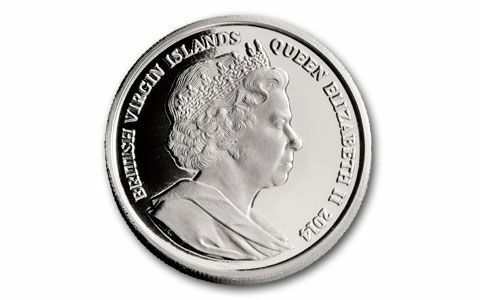 The obverse displays a stately image of Her Majesty, Queen Elizabeth II. 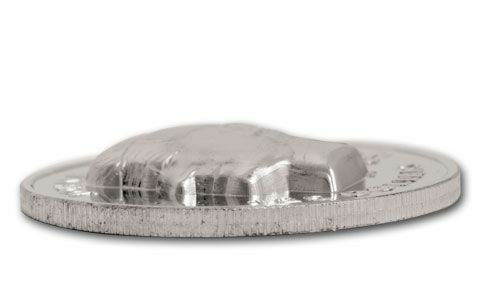 Each high relief proof is struck in one ounce of 99.95% platinum. The proofs are graded by Numismatic Guaranty Corporation (NGC). The platinum is graded Gem Proof Ultra High Relief (UHR). Only 500 platinum proofs are authorized. Don't miss your opportunity to secure a treasured family heirloom honoring our fallen president. Order now!